Field Trips, Sports & Activities, Free Early Drop off & Late Pickup and more. See Our Camp Dates, Availability and up-to-date Pricing on the Next Page. Hi! My name is William Pierce (that's me with some of our Day Camp kids), and I run Tulsa Summer Camp in Tulsa, OK. THANK YOU for considering our Summer Camp for your child. My team and I have operated Summer Camps in Tulsa for years, and we absolutely LOVE it. As parents, we know that our children only get so many Summers before they’re all grown up. That means every single day and every single child matters. And at our Summer Camp, that’s how we treat your child: like they matter. Tulsa Summer Camp is based around one central theme: MOVEMENT. Kids LOVE to move, and we think that fostering a healthy relationship with fitness and movement is a vital part of growing up. 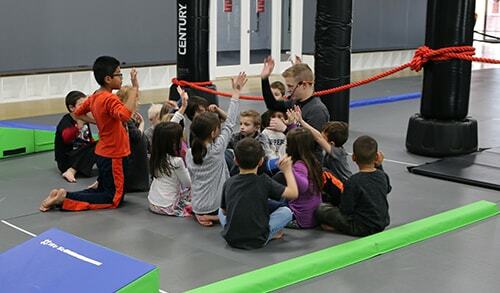 We facilitate your child's innate need to move through super-fun movement oriented activities, sports, weekly field trips and pool trips, daily park visits and more. 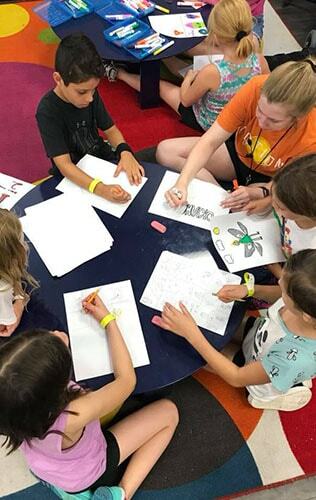 Plus, our counselors love helping the campers with Arts & Crafts, leading super fun indoor and outdoor games, and even teaching Character Development lessons like patience, focus, and determination. If you scroll down a little, you’ll be able to learn more about our Summer Camp. Take a look at what we do, and see if what we offer lines up with your goals as a parent, and if so, reserve a space or schedule a tour of our facility to meet us in person (While we have all 13 weeks of Summer available, they DO fill up quickly and WILL sell out). Summer Doesn't Have to Be Boring. Whether you're a working family who needs care for your child all Summer, or you just want to make your child's Summer amazing, we have you covered. You don't have to plan tons of activities by yourself, and you don't have to settle for "daycare". WHAT IS MOTION TULSA SUMMER CAMP? WHAT DO KIDS DO AT SUMMER CAMP? Need to schedule a tour of our facility or Register for Camp online? Get More info via Email, Plus See Our Camp Dates, Availability and up-to-date Pricing on the Next Page. It’s hard to find a place that your kids will love that’s also convenient for you. Late start times or early end times often rule out specialty camps and other fun activities. Summer Activities can come with some pretty serious risks. Without well planned, structured safety measures and trained staff, you can’t really be sure your child is safe. It’s tempting to just let children play video games, watch TV, tap around on iPads and watch movies all day. For some care providers this makes it easier, but sure doesn’t keep children positively engaged. Then YOU have to deal with their excess energy when they come home. Motion Tulsa Summer Camp offers a unique solution to your family's Summer needs. Not only do we have camp every week of the Summer, but we offer early drop off as early as 7:30am and late pickup as late as 6:30pm for free. Our Summer Camp is Full Service, offering all 13 weeks of Summer. From the moment kids are out of school, to the moment they go back, we’re ready to help parents. We don’t have extra fees for trips or activities, and we even have fantastic early bird pricing. Our camp is Accredited through the National Youth Summer Camp Organization, which means we adhere to strict requirements for staff training and facility management. Our team is CPR, First Aid and emergency procedure certified, plus they’re taught how to interact with children in order to make sure that your child’s time with us is amazing. 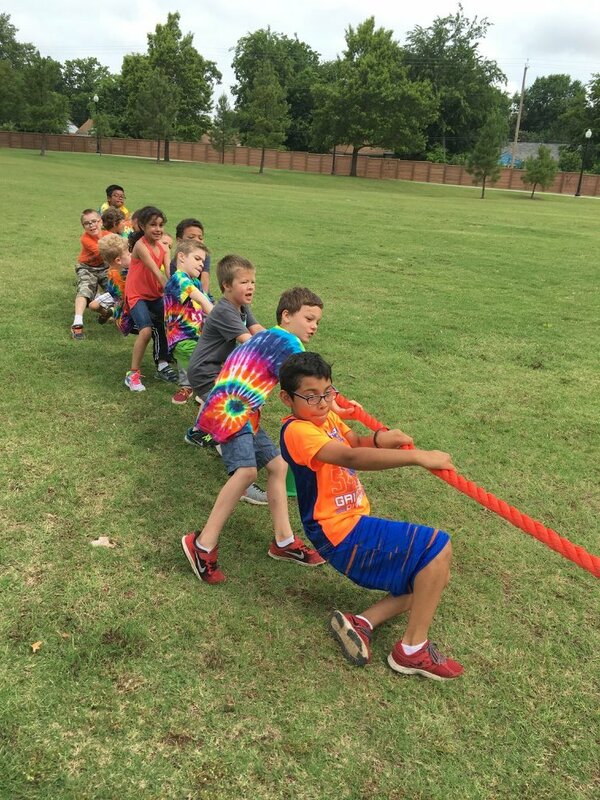 At Motion Tulsa, your child will make new friends, explore new activities, and be supported by not only our team, but our other awesome youth members. This inevitably leads to greater confidence and self esteem. We don’t use screen time to keep kids happy at Motion Tulsa Summer Camps. That means no video games, iPads, etc. Campers are so engaged at our camps that they don’t even miss electronics. What do we need to bring to Summer Camp? You're responsible for a sack lunch, and any "Green Light Food" (healthy) snacks you'd like to send, and a water bottle. 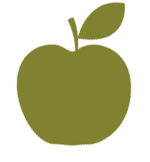 We provide children with a snack of healthy fruit in the afternoon. We also ask that you send your child in comfortable, closed toed shoes, and a weather appropriate clothing (jacket if it's cold/sunscreen+hat if it's sunny/hot - we go outside every chance we get :)). We provide sunscreen and bug spray, but are happy to use sunscreen every day and bug spray when appropriate. Should you forgot your child's lunch or would rather not pack one, we provide lunches for $5 each day. What dates are your camps? Camp starts on different days each year based on the TPS release schedule, and runs through the entire Summer, usually 13 weeks. We'll be able to show you this year's schedule, dates, pricing, etc on the next page. Plus, you can schedule a tour of our facility and sign up for camp if you'd like. Our purpose is to make every child feel welcomed, loved, appreciated, and special, but our counselors are not trained to properly meet the needs of children with behavioral, mental or physical challenges. Children with these needs will be better served in a specialized program. The Summer Camp was absolutely AWESOME. The counselors were phenominal at not only games but also teaching the children about life's lessons such as respect, discipline, listening, and treating everyone as an equal. 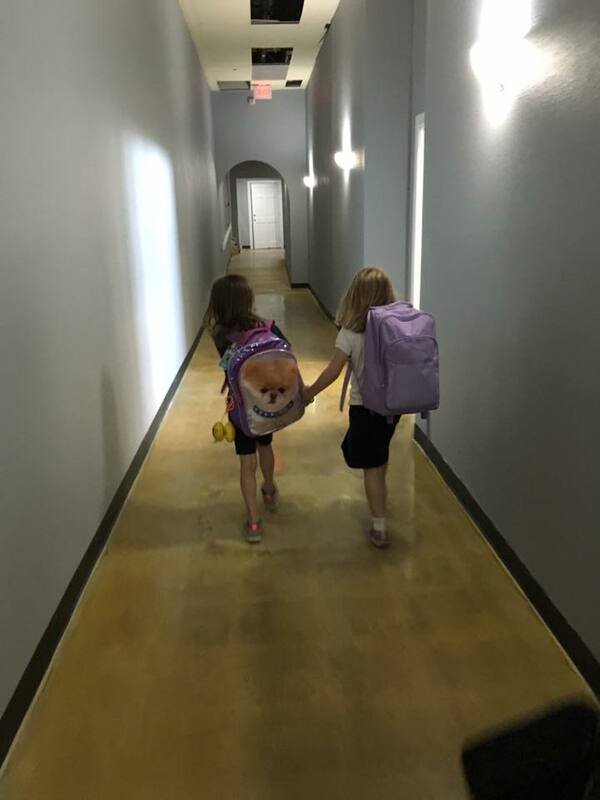 My daughter loved every week and hated to leave. My kids are having a blast! So glad I found you guys for summer!!! We love Motion Kids. We are veterans now going on our third year. We started in the Summer Camp and then onto after school. We could not be any more pleased with all the benefits these programs bring to our kiddo. Great staff and kids. What do Campers do all day? Scroll through the images and check it out! 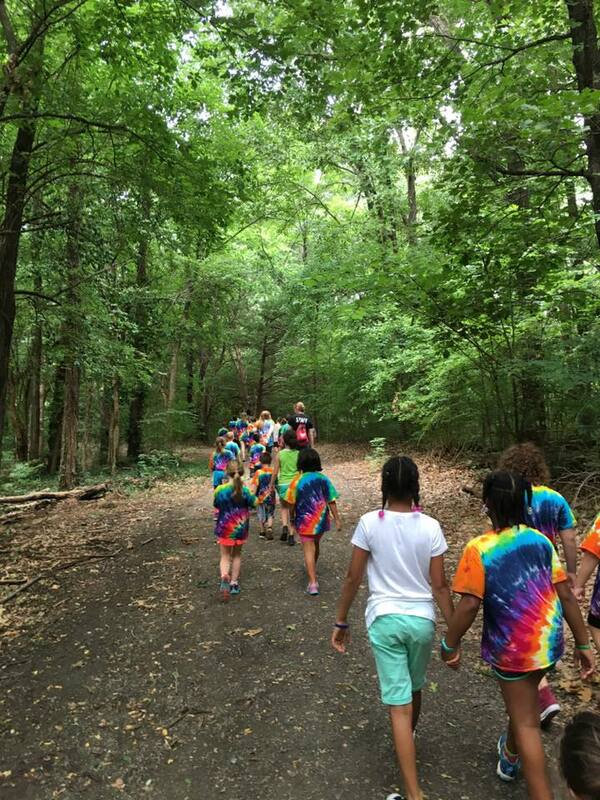 Our field trips aren't typical; they're designed to build memories and explore the wonderful parks and natural attractions around us. From Ray Harrell Nature Center to beautiful Natural Falls State park, we make sure our campers get an experience they won't soon forget. The Activity Room is where we do Arts & Crafts, do Centers, play lower energy games, and eat lunch/snacks. This is where friendships are made and magic happens. 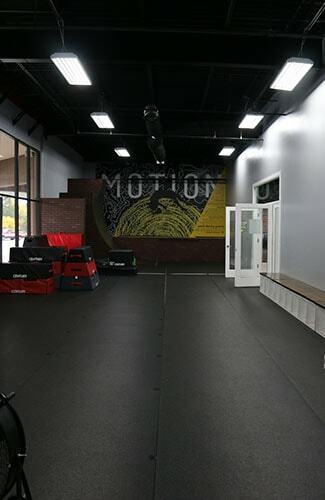 Most high energy games are played on the "Grey Mat", but the Black mat is the fun room! 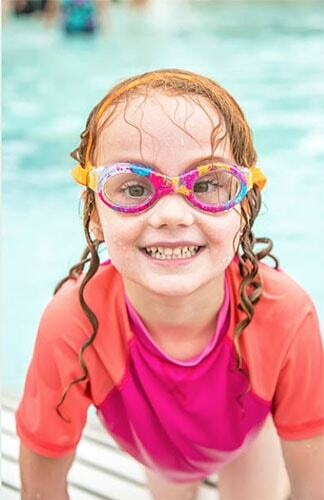 Every Wednesday we reserve LaFortune Pool - ONLY our campers, counselors and the lifeguards. It's a blast! Some of our campers also choose to do individual sports in the afternoon like Parkour and Martial Arts. These campers have their own locker in our locker room/restroom. Each day they'll get dressed, do their class, and be done by the time parents are ready to pickup! Remember "Field Days" when you were a kid? We do, and we loved them! So we brought them to Tulsa Summer Camp. Kids team up and compete in "old school" competitions like egg balancing, sack races, tug-of-war and more!